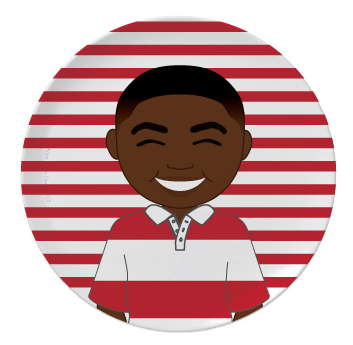 Dwele is ready for fun in his red stripes! these 8 inches melamine plates are non-toxic, dishwasher safe and break resistant. Limited stock, please allow 2-3 weeks for production.